Howard Rotberg is a Canadian publisher and author of 4 books. Previously authoring The Second Catastrophe: A Novel about a Book and its Author, Exploring Vancouverism: The Political Culture of Canada’s Lotus Land, TOLERism: The Ideology Revealed (in its second (revised) edition), he now shares his solution to the ever-increasing woes begotten by the West’s ‘tolerism’ in his latest book, The Ideological Pathway to Submission: ...and what we can do about it. He has contributed over the years to many newspapers, magazines and websites, including VancouverSun, Pajamas Media, Frontpage Magazine, Freedom Press Canada Journal, and others. At the same time as his writing, he is a practitioner of ‘double-bottom-line development’, wherein his development projects must not only meet a financial goal, but must also help the world in some way, such as providing affordable rental housing for low income working people or saving heritage buildings. Never a stranger to controversy, Rotberg was a lawyer for over 20 years and later returned his diplomas to U of Toronto in protest when they chose to allow the annual anti-Israel hate-fest known as “Israel Apartheid Week” to take place on their campuses. He anonymously authored BoycottDaimlerChrysler.com, documenting Daimler’s wartime use of slave-labour and Chrysler’s failure to divulge this in its prospectus documents during its merger. 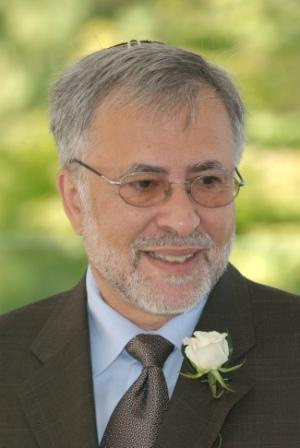 Also a blogger, Rotberg authored Second Generation Radical in reference to his status as one of the Holocaust’s “second generation”—he is a child of a Holocaust survivor—wherein he argued the group’s central duty was to take a leadership role in ensuring a Holocaust never happens again, whether by Islamist terrorists, or Iranian nuclear bomb. Rotberg is also the founder of Mantua Books, a niche publishing house providing a platform for respected authors, inherently shunned by mainstream publishers when their works don’t agree with their left-liberal, politically correct, “everyone is equal” philosophy. He has published such authors as Jamie Glazov, Giulio Meotti, Diane Weber Bederman, Gustavo Perednik, David Solway, Salim Mansur, Paul Merkley, Stephen Schecter, Pamela Peled, and others. Howard Rotberg's books are available to order here.